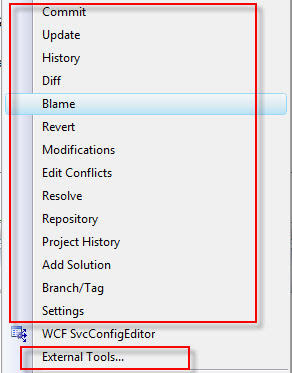 How To Get SourceSafe-Like Features for SVN on Visual Studio 2008 ? Sometimes, just not too convenient to commit or check modification for files in windows explorer. I need to switch from applications to applications, is a bit troublesm. It takes me about 1 month to find the best solution at the moment! Currently I am using AnkhSVN and the settings files below. For Difference Checking and Merging process, I am using WinMerge and KDiff3. 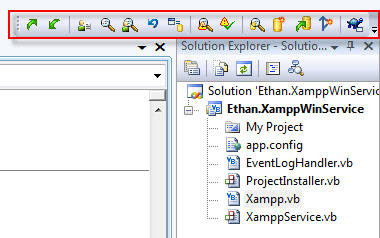 All of them integrated with Visual Studio IDE too. Let's see what can we do with this settings solution! So , for those who like the simplest way, can refer the method below. 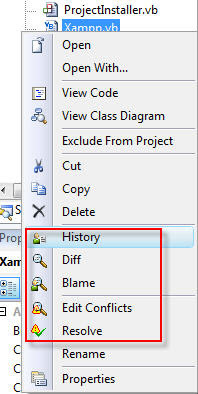 Click To Download The Solution For VS2008. Click To Download The Solution For VS2005. 3. You notice exclaimation mark on the check box. 4. Click finish and your will get this message. "Your settings were successfully imported from SubversionMenuToolbarContextsVS2008.vssettings. You'll need the latest version of..
Unzip the Windows binaries to a folder of your choice. I chose c:\program files\subversion\ as my path. svnadmin create "c:\Documents and Settings\Subversion Repository"
svnserve --daemon --root "C:\Documents and Settings\Subversion Repository"
Enter any comment you want at the top of the file, then save and exit. Congratulations! You just checked a change into Subversion! Stop the existing command window that's running svnserve by pressing CTRL+C. Copy the file SVNService.exe from the zip file of the same name to the subversion\bin folder. svnservice -install --daemon --root "C:\Documents and Settings\Subversion Repository"
Run the TortoiseSVN installer. It will tell you to restart, but you don't need to. Create a project folder somewhere on your hard drive. Right click in that folder and select "SVN Checkout..."
type svn://localhost/myproject/ for the repository URL and click OK. Create a new file in that directory. Right click the file and select "TortoiseSVN, Add"
And we're done! You now have a networked Subversion server and client set up on your machine. Note that the default port for svnserve is 3690.
commit (ci) -m "my log message"
binpath= "C:\svn\bin\svnserve.exe --service -r C:\repos"